If you’re like us, you can’t have too many books on grilling. Or too many tips for how to set yourself up for grilling success. 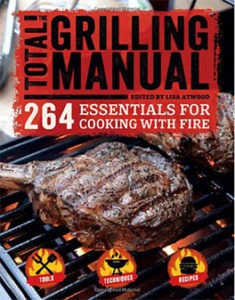 Lisa Atwood, editor of The Total Grilling Manual gives you 264 more reasons to get out there and grill. . .from gear to techniques to recipes, there’s something in her book for every griller, whether you’ve been cooking with fire seemingly since you learned how to draw on cave walls, or you just got your first Weber. Lisa doesn’t just cover backyard grills, but smokers, too, and campfire cooking. She even shares her technique for cooking just about everything you can imagine on a stick: whole fish, a chicken, even eggs. Hit the stick jackpot and you’ll find a method for making a melty grilled cheese—that’s right—on a stick. We want to try this! We sought Lisa out because we needed tips for grilling pizza (shaved broccoli is Lisa’s go-to topping of the moment. One more thing we’d like to try). Like a good guest, Lisa showed up to The Food Schmooze® pizza party with an easy grilled dessert, plus some excellent ideas for taking classic s’mores to another level. Sounds like the perfect cookout to us. 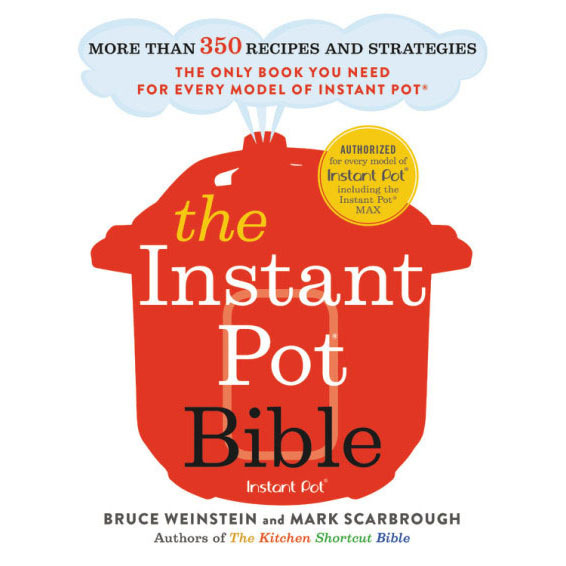 Listen to Faith’s conversation with Lisa to learn more about the book and to get Lisa’s grilling tips (not all 264, but quite a few! ).